Led by California and the state of Washington, the West has enjoyed a solid start to 2017. Competition for both skilled and unskilled workers is producing wage gains in sectors ranging from construction, to agriculture, to information technology. Retail sales are displaying steady growth, even with the shift from in-store to on-line consumption. Vehicle sales and grocery retailing had a notable First Quarter. Demand for business IT services, including cloud computing, Big Data applications, and mobile devices is generating occupancy demand from those industries. Manufacturing is producing mixed results: positive in semiconductors and aircraft, but fabricated metals and branded pharmaceuticals weaker. Interestingly, restaurants are seeing a pullback in customers, as are hotels. Local sources attribute this to immigration scrutiny discouraging both the documented and undocumented alike from previous levels of economic visibility. This is such a vast region that generalizations are bound to disguise more local differences. For instance, only four states in the West (California, Washington, Colorado, and Wyoming) have per capita incomes (PCI) above the national average. Utah’s is low but has been rising nicely since 2010. Arizona and New Mexico have low PCIs, which have stayed flat since 2011-2012. However, Idaho and Nevada not only have low incomes but have seen declines in recent years. 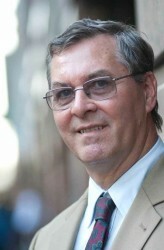 Income inequality is a regional phenomenon, as well as a feature of households and of cities. 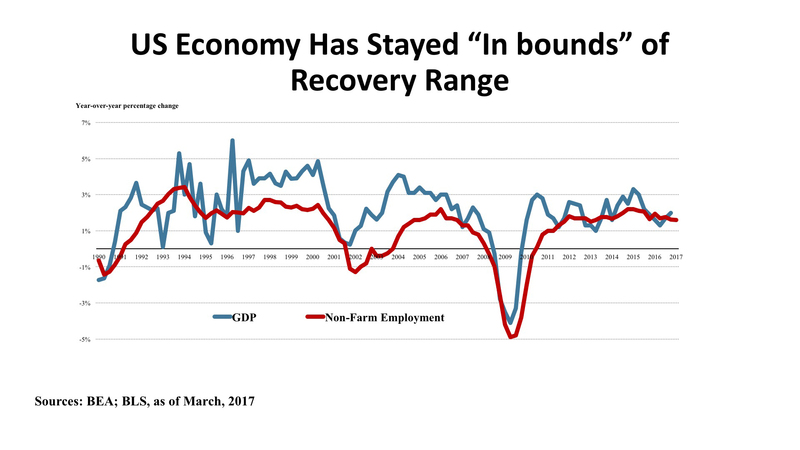 Employment gains in the Western states have totaled 622,000 over the past 12 months, or 26.5% of the overall US gains. This is, surprisingly, lower than either of the two other major regions of the country. Almost half of the employment increase was in California (303,000, up 1.9%), with Washington ranking second with 85,100 new jobs (up 2.7%). On a percentage basis, Utah (3.3%), Idaho (3.4%), and Nevada (3.1%) added jobs at rates much higher than the US norm. Nearly all of Arizona’s new jobs have been concentrated in Phoenix. In Nevada, Las Vegas and Reno are both seeing strong growth. While California’s major markets are all expanding, it is worthwhile to point out the even faster rate of growth in the Central Valley and in the Inland Empire. Elsewhere, secondary cities like Boise, Portland, and Salt Lake City are enjoying above-average job growth. Stimulus from the increases in Defense Department payroll and contracting will likely bolster California and Washington, two states already relishing an economic boom. Colorado and Arizona also stand to benefit, and the multiplier effects in these states can be significant. 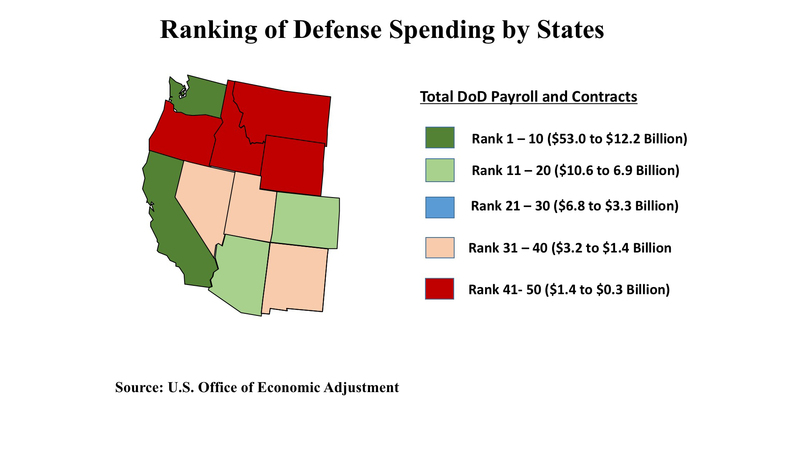 Washington, Colorado, and Arizona already have defense spending well above the US norm on a per-capita basis, as well as in absolute dollars while California stands very close to the national average. States shown in deep red on the accompanying map, on the other hand, should not expect this particular form of Federal stimulus to help locally. With $25.5 billion in aggregate purchases across five property types (office, industrial, retail, apartments, and hotels), the Western states accounted for a creditable 28.7% share of total US investment volume in early 2017. This ranked the region behind the East but ahead of the Central states year-to-date. For the twelve months ending March 2017, the West claimed a 30.4% share of the nation’s investment aggregate. So there has been modest recent slippage vis-à-vis the US benchmark. As illustrated in the accompanying pie chart, offices edged out apartments in First Quarter 2017 activity, followed by retail properties, industrials, and lastly hotels. Office. 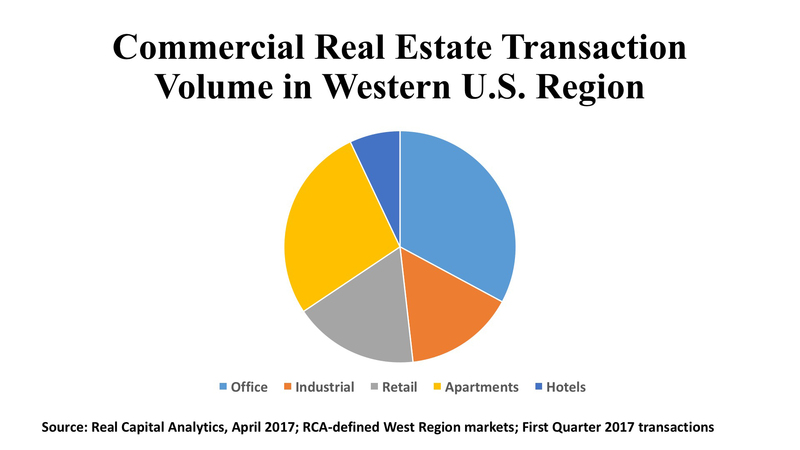 Like most of the rest of the country, the West is seeing office transaction volume retreating from the cyclical highs of 2015 and early 2016, but nevertheless marking activity that is fairly robust against long-term historical norms. Some 397 office transactions were recorded by Real Capital Analytics during the First Quarter, amounting to $8.4 billion in deals. Los Angeles and San Francisco were, far and away, the most powerful capital magnets, with $3.6 billion and $2.3 billion in office volume, respectively. San Jose just missed hitting the billion dollar mark, with 23 properties attracting $999 million in sales. But Seattle, Phoenix, San Diego, and Orange County can’t be ignored as each had a half-billion or more in office deals during the first three months of this year. Private domestic investors (44%) and institutions (28%) registered the highest buyer shares, but international investors from Canada, Germany, and China also made notable office acquisitions. Industrial. This sector saw the most significant pullback in investor volume of the commercial property types in early 2017, dropping nearly 40% from the prior period to $3.9 billion aggregate sales price. More worrisome is the trend: year-over-year volume has dropped regionally in four of the past five quarters, and the 12-month rolling average transaction volume has dropped 22% since its peak in late 2015. So recent weakness is not a one-off phenomenon. Remarkably, though, prices have stayed rather firm with the average cap rate in the West at 5.9%, a full 100 basis points lower than the US mean cap rate during early 2017. L.A. enjoyed more than $1 billion in industrial sales activity for the quarter, followed by San Jose with $723 million, and Orange County’s $515 million. More than half the buyers were domestic private investors (52%), with domestic institutions a distant second with 21%. Retail. Given the personal income and job growth data presented above, it should not be surprising to see investors selecting markets like Los Angeles and San Francisco disproportionately for shopping property purchases. Each of these markets had more than $1 billion in First Quarter retail property investment, as these two powerhouse cities accounted for 48% of the region’s capital volume in the sector. Retail assets are holding value nicely, with a median cap rate of 5.7%, compared with 6.5% for the US as a whole. REITs represented a significant 31% of the recent retail investment in the West, but this still lagged the private domestic investors’ 51% share in early 2017. Institutional and cross-border investors, in contrast, have been relatively quiet in early 2017.